My colleagues and I have begun the Glimpsing Heat from Alien Technologies (G-HAT) SETI program, which has been written about here on Centauri Dreams and in other places, like in this nice summary article. I describe some of the foundations of the search here on my blog, but I have written up this short primer for Centauri Dreams to collect much of what is there into a single post. The benefits of expanding beyond "communication" SETI have been discussed on Centauri Dreams before (for instance, here) and the argument was made forcefully by Bradbury, Ćirković, and Dvorsky here. The essence of Dysonian SETI is that one is searching for the passive signs of an alien civilization, instead of the deliberate communication from them. Freeman Dyson's original articulation of this principle remains the simplest: search for the energy that a civilization has used for its own purposes after it expels that energy. The disadvantage to this approach is that it may be difficult to distinguish such waste heat from natural sources, or it may be that advanced technologies do not emit large amount of waste heat. The term "energy supply" in the context of humanity refers to the total annual production of energy for human use. We generate this primarily through fossil fuel extraction and combustion, but it also includes energy generated through the collection of solar power. Most species on Earth collect energy passively (through photosynthesis or collecting heat from the environment) or through consumption of other species. Intelligence is sometimes defined in terms of tool use, which involves the application of energy to objects to achieve some goal. More generally, we might use a "physicist's" definition of intelligence to be the capacity of an organism or species to apply energy to its environment to collect additional resources for survival or other purposes. For instance, an intelligent species like humanity can build solar panels to heat its homes or burn gasoline to run farm equipment to harvest more food. If this has ever happened — if an alien civilization has ever used its intelligence to create an energy supply that rivals the output of stars — then their waste heat would probably be detectable with today's astronomical instrumentation. "Waste Heat" Does Not Imply Inefficiency or "Waste"
Conservation of energy means that when one is done using energy for some purpose, one must expel it or else store it (though in the long run you can't keep storing more and more energy). One might object that an arbitrarily advanced alien civilization could overcome this limitation, and it's true that if alien civilizations inevitably violate conservation of energy, then our search will fail. But conservation of mass-energy is as fundamental a physical law as we have, and if we cannot assume that then we cannot have a meaningful, physics-based discussion about advanced civilizations at all. So it is reasonable from a physics perspective to search for the energy in waste heat, which should exist if alien civilizations do. The term "waste heat" may seem to imply some sort of unnecessary inefficiency that an advanced civilization would be able to overcome. Not so. The confusion here is that when most people say or hear "energy" they are really thinking of "free energy" — the amount of work that can be done with a certain amount of energy. For instance, when you drive to the supermarket the energy stored in the chemical bonds of your gasoline is converted to useful work that accelerates your car. When you are done with this energy — when you are ready to slow down at the supermarket parking lot — you press the brakes which dissipate the energy into the brake pads as heat, which then ultimately gets radiated away as mid-infrared radiation. This energy coming out of the brake pads now has a higher entropy than the energy that was in the gasoline— this means the energy has less "free energy" than before, so you can't use that energy to make your car move again. In a regenerative braking system (like in electric or hybrid cars) your car attempts to collect this energy and put it back into the battery, but the second law of thermodynamics puts an upper limit on how efficiently this can be done — some of the free energy is lost with each braking cycle. Also, losses to friction with the ground and the air during your trip cannot be recovered efficiently. So conservation of energy says that on the whole, an alien civilization that has a very large energy supply must expel as much energy as it collects or generates, and the second law of thermodynamics says that this expelled energy will have high entropy (very little free energy). We call this high-entropy expelled energy "waste heat", even if the alien civilizations that uses it is very efficient and not at all "wasteful". In fact, the more efficient the civilization is, the higher the entropy of the expelled energy, and the more it will have the properties of the sort we expect to see from waste heat. One way around this limit is to emit the heat at a lower temperature. This is not possible on the surface of the Earth, where you cannot radiate heat away at a temperature lower than your surroundings (if you try, the opposite occurs — your surroundings heat up your apparatus). But in principle we could build huge, cold radiators in space that could operate as part of a heat pump, extracting more free energy from our waste heat to do more useful work. The difficulty here is that the radiators must be huge to get even a small benefit — the size of the radiators scales as the fourth power of the efficiency you gain, so improving the maximum theoretical efficiency of sunlight collection on Earth from 95% to 99.5% would involve building radiators with a surface area 10,000 times the size of that of the Earth, which hardly seems worth the effort. This means that we should expect alien waste heat from starlight to never be orders of magnitudes cooler than the surface of the Earth, because the engineering difficulties make the task pointless. Waste heat at these temperatures will be apparent at mid-infrared wavelengths. The IRAS mission in the 1980's surveyed the sky at these wavelengths, but did not have the sensitivity to detect most galaxies or stars because of the higher-than-expected background emission from dust in the Milky Way. The WISE satellite has much better resolution and sensitivity, and so does not suffer from this problem over most of the sky. Most galaxies and many stars have "infrared excesses" — they give off much more mid-infrared emission than one would expect from stars alone. Today, we understand that this is because of astrophysical "dust" — a very fine smoke of organic molecules that is produced from the ashes of supernova explosions, in the atmospheres of giant stars, and in the disks of forming planetary systems. This dust glows brightly in mid-infrared wavelengths when it is illuminated by starlight — just as we expect alien civilizations to do. Now that we have sensitive mid-infrared surveys, distinguishing mid-infrared emission from dust and alien civilizations is the primary obstacle to detecting alien waste heat. For now, the best we can do is to put upper limits on these civilizations. We can show, for instance, that there are no nearby galaxies filled with alien civilizations using all of their starlight — and we can do this for about 1,000,000 galaxies! We can also rule out civilizations using about 50% of the starlight — even the dustiest galaxies do not have so much dust that half of the starlight is being reprocessed by it. Going forward, we will continue to lower this limit down to around 20% (or even lower for some galaxies, such as ellipticals which host almost no dust). Going any lower will require careful observation to see if the mid-infrared morphology or spectrum of a galaxy is characteristic of dust, or if it is anomalous in some way. Looking to individual stars in the Milky Way will actually be somewhat difficult, because many things that look like mid-infrared-bright stars are actually distant galaxies that are red for other reasons, dusty giant stars on the other side of the Galaxy, or young stars still forming planets in dusty disks. When the GAIA satellite finishes its survey, it will give us distances to most of the stars in the mid-infrared surveys. This will allow us to search for those that are mid-infrared bright, not giants, and not associated with star-forming regions filled with dusty young stars. 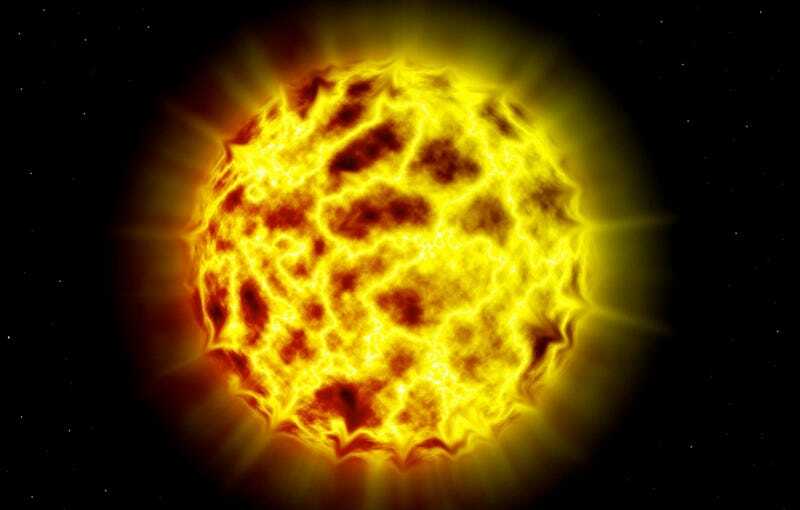 If we find a star that is very mid-infrared bright, about the luminosity of the Sun, and not part of a stellar nursery, that will be a dead giveaway that something very strange is going on with that star. Even if we find something anomalous, as scientists we must always reach for the naturalistic explanation first. Finding mid-infrared-anomalous objects is scientifically interesting in its own right and so a worthwhile scientific endeavor. If we can find no scientific explanation for an anomalous object, we must continue to search for new explanations and not immediately jump to the conclusion of "aliens," lest we commit an "aliens of the gaps" fallacy. Only if we see an unambiguous sign of intelligence — if the Allen Telescope Array, for instance, detects complex and obviously meaningful radio signals from the object — will we be able to say SETI has succeeded. The G-HAT search, then, will have two implications for SETI: we will put an upper limit on the size of energy supplies being emitted as waste heat in nearby stars and Galaxies, and our best candidates will inform a target list for communication SETI efforts. In this way, the Dysonian and communication SETI approaches are strongly complementary. This post has been republished with permission from Paul Gilster and Jason T. Wright. It was originally published on Centauri Dreams, a blog in which Paul Gilster looks at peer-reviewed research on deep space exploration, with an eye toward interstellar possibilities. Dr. Wright is a member of the Center for Exoplanets and Habitable Worlds and the Penn State Astrobiology Research Center (part of the NASA Astrobiology Institute), as well as being a member of the California Planet Survey consortium. His AstroWright blog is essential reading for anyone interested in SETI and the process of science at work. He also maintains the Exoplanet Orbit Database and Exoplanet Data Explorer at exoplanets.org.